Thank you to the Iowa Egg Council for sponsoring this post. All opinions in this post are entirely my own. ” Wow, you must be busy.” is the statement I receive from oh so many people when I am out in public with my three absolutely adorable sons. And yes, when they were all little, I was busy, but I never imagined that I would be twice as busy when they got older! Diaper changing, late night feedings, storytime, and stroller walks got replaced with memorizing spelling words, soccer practice, music lessons, packing lunches, neighbor kids stopping by, riding bikes, participating in fundraisers, and driving around. A lot. We are only a few weeks into school, and it has already been crazy busy. 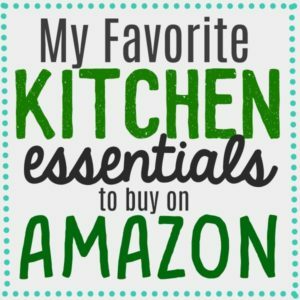 I am finding that it is practically a necessity to prepare meals in advance to keep up with the demand of places to go and things to do. I have started making dinner while I make lunch because I know that on most nights I won’t be home to make dinner. I have been making school lunches at night because we are always so pressed for time in the morning. 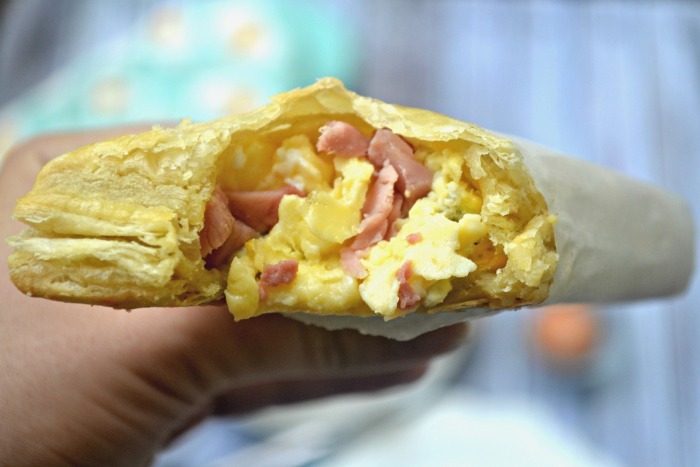 And speaking of being pressed for time in the morning, I have been meal prepping breakfast too, which brings me to these delectable scrambled egg puff pastry pies. 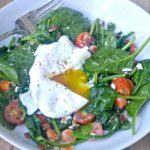 This breakfast was such a crowd pleaser, and it was incredibly easy to prepare. 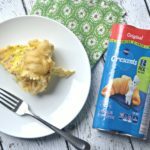 Puff pastry dough can make some fantastic meals, and super easy to cook with, plus I don’t think you could ever go wrong with salty, velvety, and cheesy scrambled eggs. 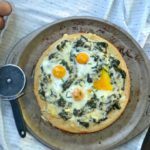 We love eggs in our house; it is one of the few foods that I never have to ask my kids to eat twice. Plus I love feeding my family food that will keep them full, longer so their minds can keep soaking up all of that valuable information all day at school! 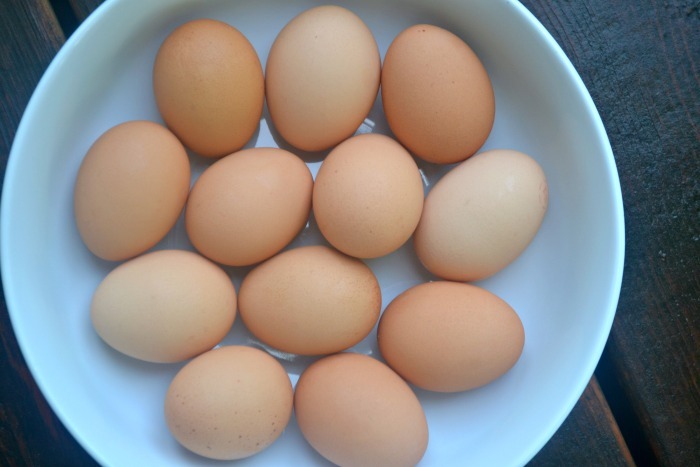 Not only do eggs leave kids feeling full for a longer time, but one large egg contains 13 essential nutrients for just 70 calories, and there is no sugar! Did you know that if you’re eating eggs for breakfast, there is a good chance they came from Iowa? 1 out of every five eggs is produced on Iowa farms. 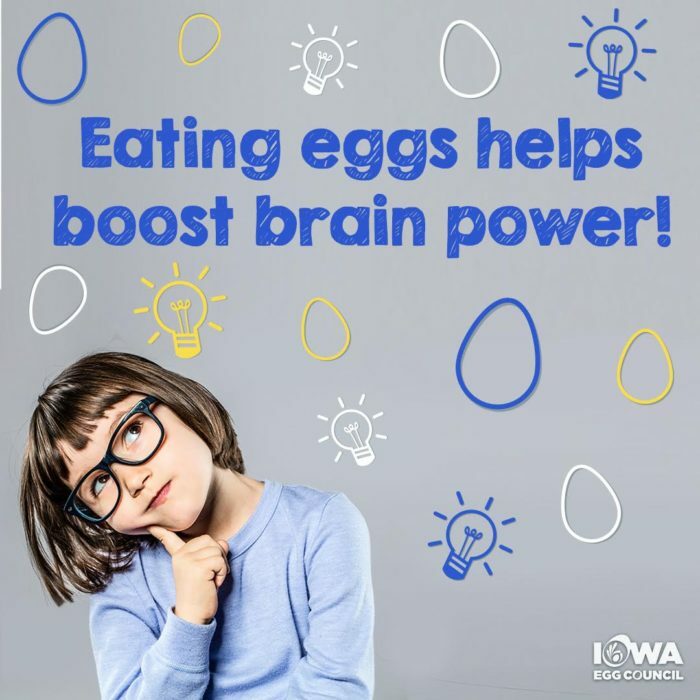 Iowa’s egg farming families want to help you kick off a healthy school year! Enter to win a $200 grocery gift card to help you feed your family right before school! Follow this link to see the contest details. 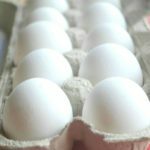 Follow the Iowa Egg Council on social media, and you will find loads of awesome egg recipes, along with more information on eggs. You can find The Iowa Egg Council on Instagram, Twitter, Facebook, Youtube, and Pinterest. These puff pastry pies come together really fast. 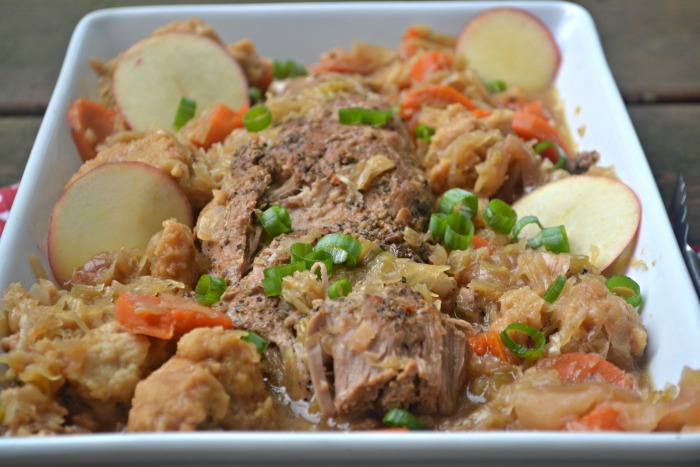 The best part is that you can store these in the fridge or freezer and heat them up when you are running out of the house. I tried re-heating these in the oven and the microwave, and both work well. 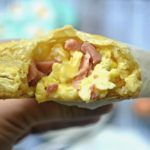 I filled my puff pastry pies with scrambled eggs topped with ham and cheese, but I bet you could get creative with flavors in yours. I feel like everyone I know has certain spices or flavors they eat with their scrambled eggs. Before baking these beauties in the oven, I painted on some egg wash which gives them their golden brown color. 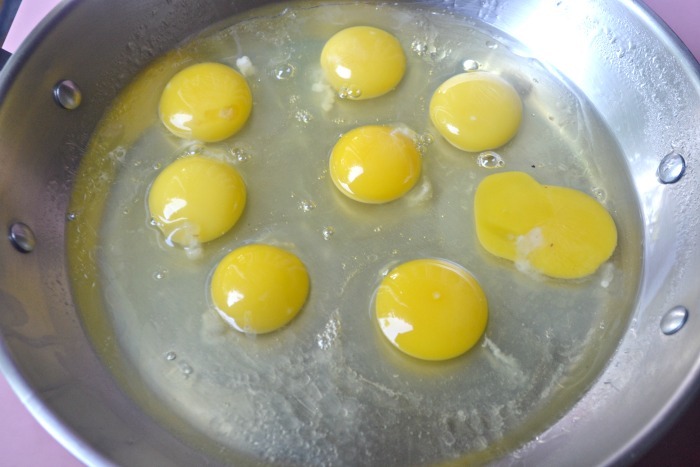 Add eggs to a saucepan, add in olive oil, milk, and salt. 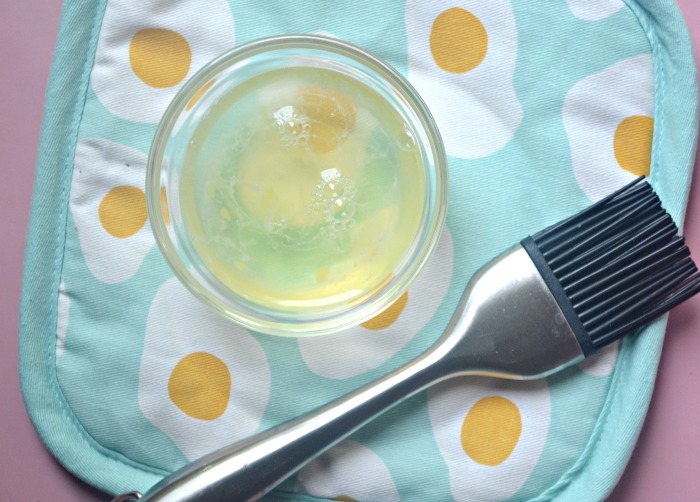 Whisk the eggs together and cook on low heat. 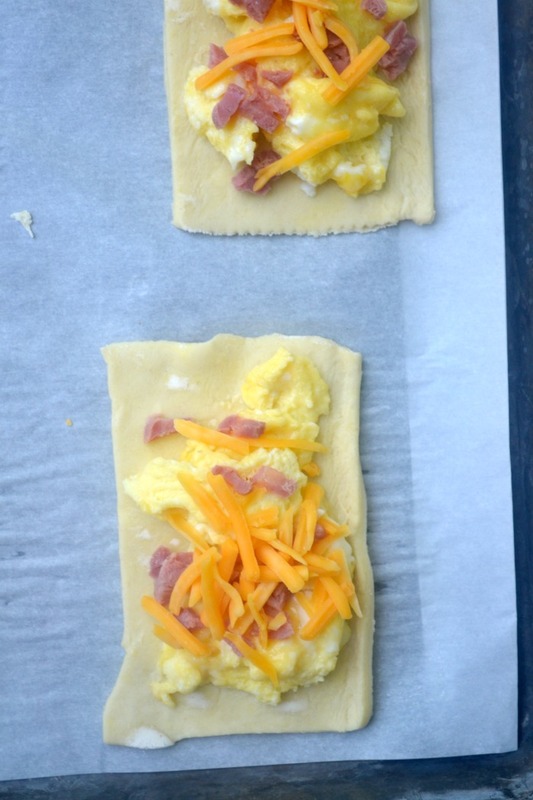 Roll out the puff pastry dough and cut each piece into 8 slices. 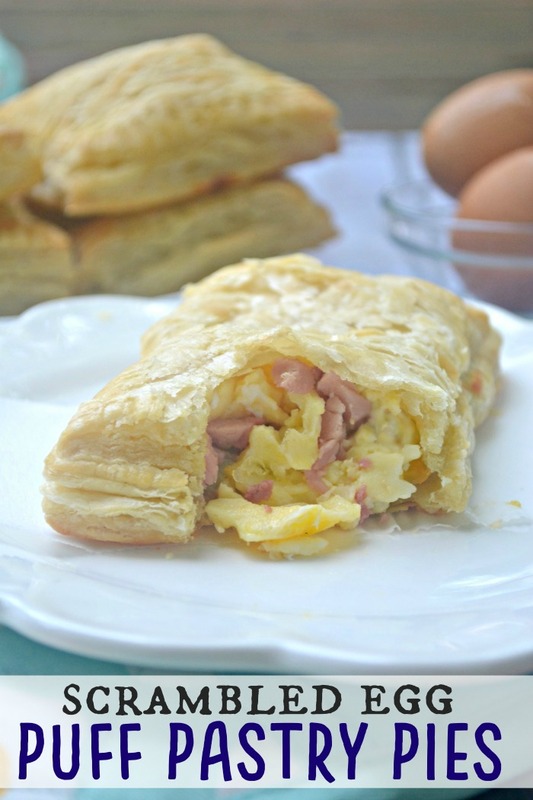 Place some scrambled eggs, ham and cheese on a bottom slice and place another slice on top. secure the pastries together with a fork. 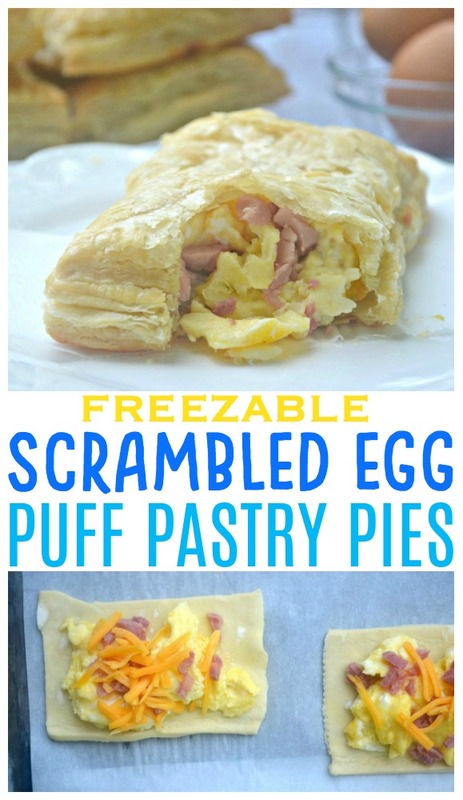 Make egg wash and brush some egg wash on each pastry. Cook at 400 degrees for 18 minutes. Remove from the oven when the puff pastry is cooked to your liking. 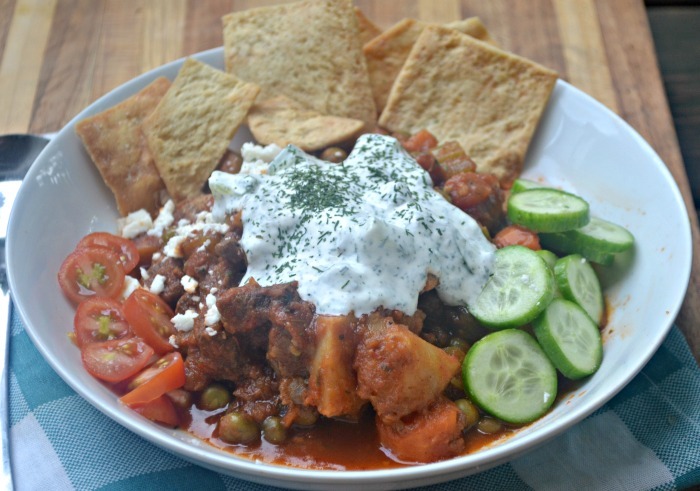 You can store these in the fridge for a few days and freeze them. 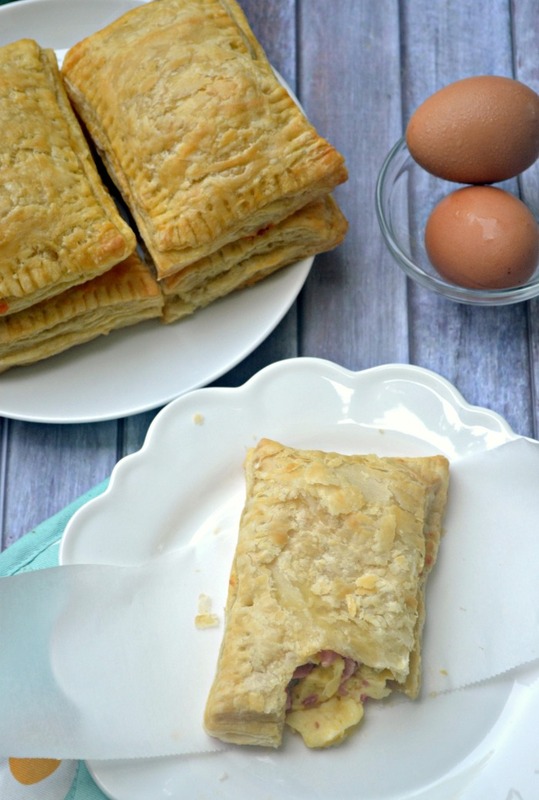 These puff pastry pies were so amazing! My 6-year old has been begging me to make more of these all week. I am going to warn you; these puff pastry pies are not going to last long! 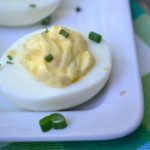 Don’t forget to check out the Iowa Egg Council’s website for a ton of fantastic egg recipes! And don’t forget to enter to win a $200 grocery gift card from Iowa’s Egg farmers!